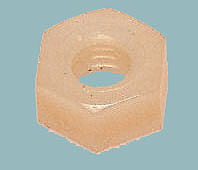 This page lists our range of nylon screws which we stock in slotted cheese head, and now also slotted countersunk style. 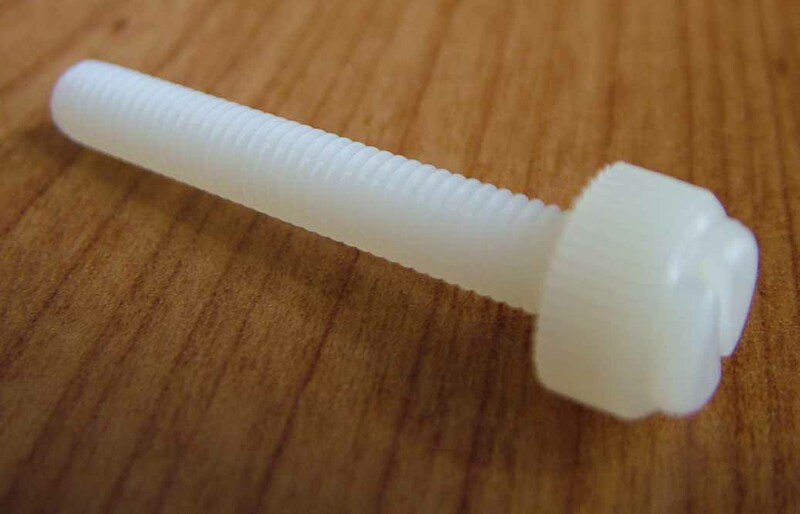 Metric Cheese head screws are available in M2 to M8 threads. 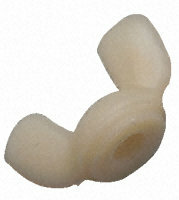 These nylon thumbs have a large head with a knurled surface. The heads are also slotted so a final tighten with a flat blade screw driver can be carried out if necessary. Ideal for model aircraft wing fixing. Please scroll down this page or click on the image to see sizes available. Other thread sizes, lengths and head styles are available - please e mail your requirements via the 'fixings enquiry' page. If you're considering these screws as wing fixings, our M6 finishing washer work very well with 1/4" UNC cap screws and spread the pressure to minimise the chance of pull-through. Note that the length of countersunk screws is the length including the screw head.